Early pregnancy symptoms can be very similar to period symptoms, which can be quite confusing. There are many early pregnancy symptoms and the main one is a missed period. However this isn't always the main symptom for some. Some (lucky) people don't suffer with any symptoms throughout their pregnancy but some of us women do. • Missed Period - This is the main symptom of early pregnancy. You are able to take a home pregnancy test from the first day of your missed period (or sooner with some home tests). • Sore Breasts - This is one symptom I didn't enjoy. Your breasts can feel very tender and over sensitive. They can be so sensitive, even wearing a bra or a top can be painful. If you do suffer from this, wearing a loose top could help a little. • Nausea/Morning Sickness - Probably not the nicest symptom to have in early pregnancy (and sometimes in the second and third trimester for some women too). Morning sickness can occur any time of the day, morning or night. The same with nausea. • Tiredness/Low Energy - This is another symptom you could have during early pregnancy. During your 1st trimester you do lose a lot of energy. Your body is changing massively for your little one to grow. It can drain you and make you feel extremely tired. • Odd Smells and Taste - Some people may get an odd taste with certain foods and odd smells too. Your smell increases and you will probably smell some things that other non-pregnant people can't. • Off food and Cravings - You may have noticed you have totally gone off your favourite foods and/or even got some odd cravings. Maybe you have started to crave something you've never liked before? This could be another symptom. • Gone off food / Eating like a horse - Another pregnancy symptom in the early stages could be that you are either totally put off by food or you are hungry every minute or every hour of the day. Even when you've had something to eat. • Cramps - This can be a pretty normal symptom during early pregnancy as everything is moving in you, however if you feel uncomfortable and worrying, please do go and see the doctor. * These are just some of the early pregnancy symptoms you could have. These are just either from my own experience, or from an experience of someone I know. If you suffer with any unexplained pain or cramps please do make a trip to the doctors. * Also, you may not have a positive pregnancy test straight away from your first day of your missed period. It took 16 days for my test to be positive with my third baby as my hormone levels were pretty late as I had conceived quite late into the month. 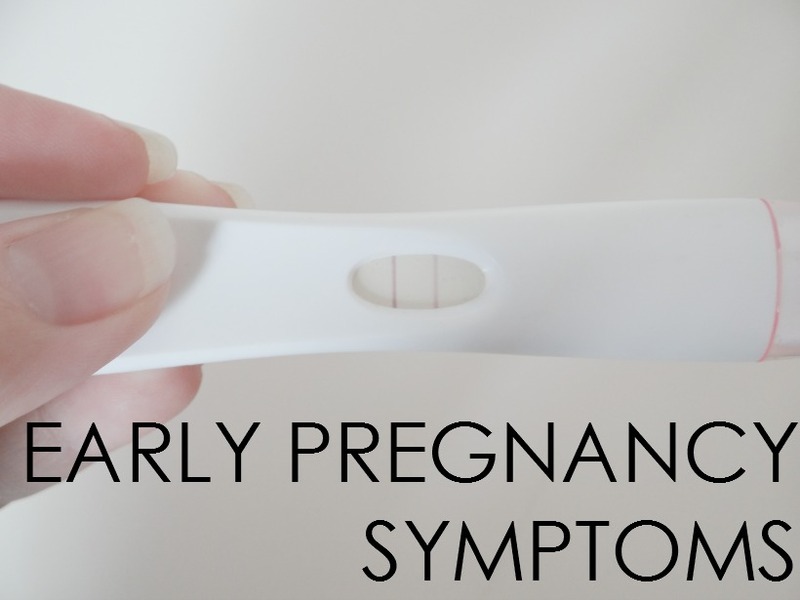 Did you suffer with any early pregnancy symptoms?